I’m ready for fall–I love fall clothes and am excited for the air and the leaves change here in the DC area. Here are a few of my favorite items I’m lusting after! Loving ponchos and big sweaters! 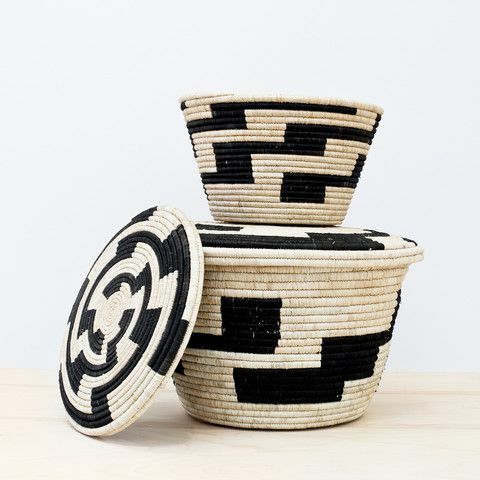 These hand-woven gorgeous baskets can be used for anything–collecting magazines, holding blankets by your sofa; kids’ toys and more! great put up, very informative. I’m wondering why the opposite experts of this sector do not realize this. You should proceed your writing. I am confident, you have a huge readers’ base already! Hello, Neat post. There’s an issue with your site in web explorer, maytest this? IE still is the market leader and a huge section of other folks will omit yourfantastic writing because of this problem. you are truly a just right webmaster. The website loading pace is incredible. It sort of feels that you’re doing any unique trick. In addition, The contents are masterwork. you have performed a great task in this subject! I’d have to test with you here. Which is not something I normally do! I take pleasure in reading a put up that will make people think. Additionally, thanks for allowing me to comment! Hi there, You’ve done a fantastic job. I’ll definitely digg it and for my part suggest to my friends. I am confident they’ll be benefited from this website. Please let me know if you’re looking for a article writer for your blog. You have some really great posts and I think I would be a good asset. If you ever want to take some of the load off, I’d really like to write some material for your blog in exchange for a link back to mine. Please shoot me an e-mail if interested. Regards! My husband and i have been quite cheerful Chris could conclude his analysis through the entire precious recommendations he discovered from your own blog. It is now and again perplexing to simply possibly be giving for free instructions which usually some other people might have been making money from. And now we know we have the writer to appreciate because of that. The type of explanations you made, the straightforward website navigation, the friendships you will assist to create – it is most powerful, and it’s aiding our son and the family recognize that this theme is exciting, and that’s very fundamental. Thank you for everything! I’m curious to find out what blog platform you have been using? I’m having some small security issues with my latest site and I’d like to find something more safeguarded. Do you have any solutions? Greetings from California! I’m bored at work so I decided to check out your site on my iphone during lunch break. I enjoy the knowledge you present here and can’t wait to take a look when I get home. I’m shocked at how quick your blog loaded on my cell phone .. I’m not even using WIFI, just 3G .. Anyways, amazing blog! Thank you for another magnificent article. Where else could anyone get that kind of information in such a perfect way of writing? I’ve a presentation next week, and I am on the look for such info. I intended to create you one little note to help thank you very much again just for the wonderful advice you have documented at this time. It was quite tremendously open-handed of you to allow extensively precisely what many of us could have advertised as an electronic book in making some profit for themselves, even more so seeing that you might well have tried it in case you considered necessary. Those guidelines also acted to be a good way to be aware that the rest have a similar eagerness similar to mine to understand more in regard to this matter. I am certain there are thousands of more fun periods in the future for those who look over your website. Nice post. I learn one thing more challenging on different blogs everyday. It’s going to at all times be stimulating to learn content from other writers and observe slightly one thing from their store. I’d favor to use some with the content material on my blog whether you don’t mind. Natually I’ll provide you with a hyperlink in your net blog. Thanks for sharing. What’s Going down i’m new to this, I stumbled upon this I have discovered It positively useful and it has helped me out loads. I am hoping to give a contribution & assist different customers like its helped me. Good job. Hiya! I simply want to give an enormous thumbs up for the nice information you may have right here on this post. I will probably be coming back to your blog for more soon. When I originally commented I clicked the -Notify me when new feedback are added- checkbox and now each time a remark is added I get four emails with the identical comment. Is there any approach you may remove me from that service? Thanks! I happen to be writing to make you know what a awesome encounter my friend’s child undergone reading your web page. She mastered a wide variety of things, not to mention what it is like to have a great giving style to have men and women with no trouble learn about some tricky things. You actually exceeded readers’ expectations. Thanks for rendering the warm and friendly, trustworthy, revealing and also cool tips on the topic to Julie. Great – I should certainly pronounce, impressed with your web site. I had no trouble navigating through all the tabs as well as related info ended up being truly easy to do to access. I recently found what I hoped for before you know it at all. Quite unusual. Is likely to appreciate it for those who add forums or something, web site theme . a tones way for your customer to communicate. Excellent task..
hello there and thank you to your information – I’ve definitely picked up something new from right here. I did alternatively expertise several technical points using this site, since I skilled to reload the website a lot of occasions previous to I may get it to load correctly. I were thinking about in case your hosting is OK? Not that I’m complaining, however slow loading instances occasions will very frequently have an effect on your placement in google and could injury your high-quality rating if advertising and ***********|advertising|advertising|advertising and *********** with Adwords. Anyway I’m adding this RSS to my email and could glance out for much extra of your respective fascinating content. Make sure you replace this again very soon.. The following time I learn a weblog, I hope that it doesnt disappoint me as a lot as this one. I mean, I know it was my option to read, however I truly thought youd have something attention-grabbing to say. All I hear is a bunch of whining about something that you could possibly fix should you werent too busy looking for attention. Very good blog you have here but I was curious if you knew of any community forums that cover the same topics talked about in this article? I’d really like to be a part of community where I can get comments from other knowledgeable individuals that share the same interest. If you have any suggestions, please let me know. Thanks! you’re actually a good webmaster. The web site loading velocity is incredible. It sort of feels that you’re doing any unique trick. Moreover, The contents are masterpiece. you’ve done a magnificent activity on this matter! I really like what you guys are up too. This type of clever work and coverage! Keep up the superb works guys I’ve you guys to my personal blogroll. My brother suggested I may like this blog. He was once totally right. This submit actually made my day. You can not believe simply how a lot time I had spent for this info! Thanks! A lot of thanks for your own labor on this website. Kim enjoys going through research and it’s simple to grasp why. We hear all relating to the dynamic ways you deliver sensible tips via the web blog and therefore improve participation from some other people on this matter plus my girl is really becoming educated a great deal. Enjoy the rest of the new year. You have been doing a first class job. Thanks for sharing superb informations. Your site is so cool. I’m impressed by the details that you’ve on this blog. It reveals how nicely you understand this subject. Bookmarked this website page, will come back for more articles. You, my friend, ROCK! I found just the info I already searched everywhere and simply couldn’t come across. What a great website.